Art Speaks: "We Need Peace In Our Lives"
published by ATD Fourth World in 2000. “When I had been part of ATD Fourth World for about six years, some of us travelled together to the European Union in Belgium. It was for an event on culture. I wore earphones to understand the translations of all the different languages, and it was interesting. But then a Spanish lady said, 'A person who can't read and write has no culture.' I should have spoken up because that's not true. I know someone who can't read and write, but they can play music. And there's many other ways into culture: there's dancing, singing, or making artwork. “After that, back in Frimhurst, a lot of us got involved in a project called ArtSpeaks. We did all kinds of artwork, using clay, wooden beads, or wood. We wrote poetry to create a book called Out of the Shadows. The children did photography. The wood carving was a very good workshop. I carved a 'Bird of Peace' sculpture that greets you as soon as you come into Frimhurst. Patricia and Hazel made a sculpture called 'The Family'. Some others carved animals they like. “The reason I called my sculpture the 'Bird of Peace' is because Frimhurst is a place where you can feel at peace. That's different from how things go in whatever neighbourhood you live in. Sometimes my family has lived in places where we had to keep to ourselves. There are neighbours who don't get on together. Some act so terribly that the police have to give out an injunction just to stop one person from giving a hiding to a neighbour. In situations like that, you can't trust anyone. You feel in the back of your mind that you'll be losing your children. And you can end up shouting a lot, even when you don't mean to. Children can listen better when a parent just speaks without shouting. That's why we need peace in our lives. The workshop described above was part of a series called “An Audience with the Real Experts on Poverty”, which supports people with a direct experience of poverty to be at the heart of designing and leading participatory panel discussions, multi-media presentations and interactive workshops. The Poverty Experts speak about their personal experiences living in poverty and their collective expertise in managing the multiple ways in which it adversely affects their lives, while promoting ideas and solutions on how to overcome poverty. They shed light on how they contend not only with the hardship but also with negative stereotypes and the use of pejorative language and imagery. Moreover, they provide evidence of the positive contributions people in poverty can make in society. 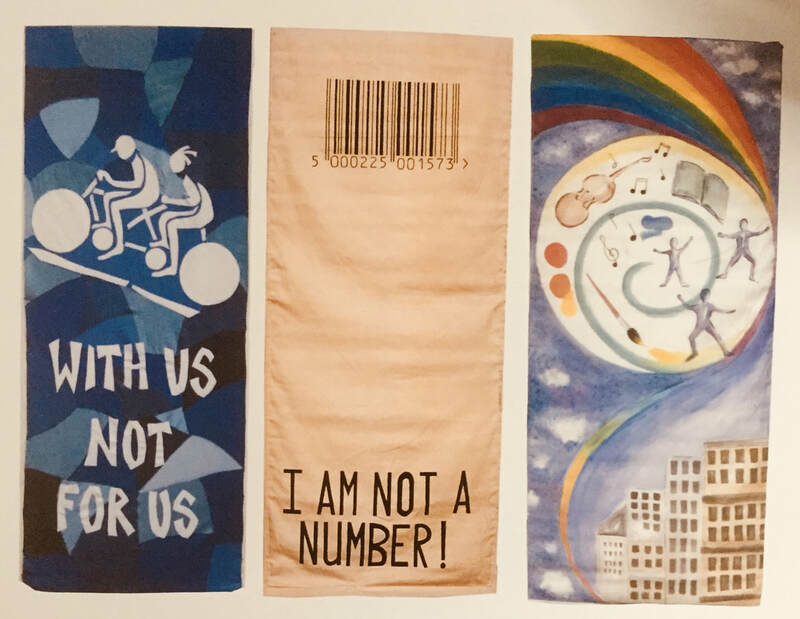 Since autumn 2016, three groups with direct experiences of poverty (ATD Fourth World, Dole Animators, and Thrive Teesside) have worked with Ruth Patrick of Liverpool University to explore the extent of consensus on anti-poverty solutions. 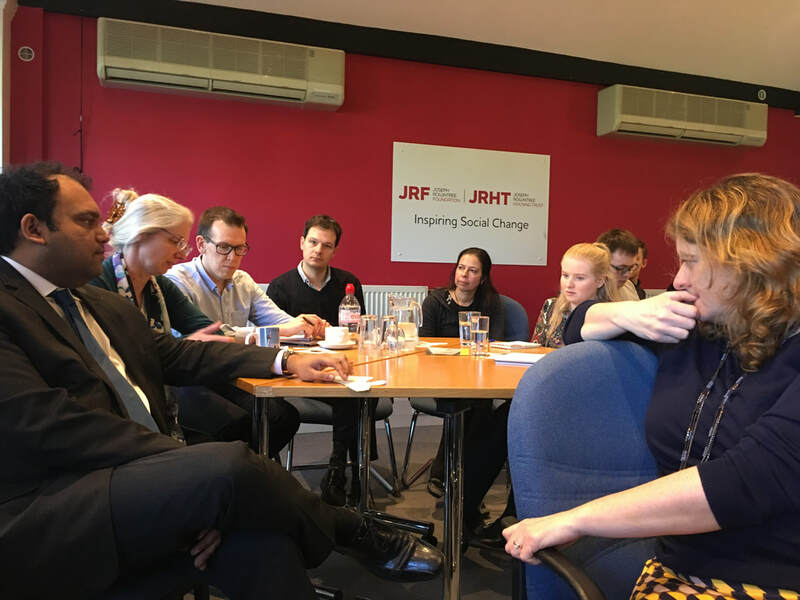 In 2018, funding from the Joseph Rowntree Foundation was granted to extend this initiative, bringing the three groups into conversation with senior JRF staff as well as with other groups who have direct experiences of poverty. Below is an assessment of this work by participant Patricia Bailey of ATD Fourth World. The people we meet from the other groups are like us: they live in poverty and they want better lives. Getting together is a good opportunity to see what all of us can do. Like us, they are all supporting other people in their lives. We all do things to help look after a person who is not well, or to care for children. Most of us also know what it's like to have problems with the benefits system. When your benefits are cut, you have to go step by step to make the little money you've got last as long as possible, which is not easy. I live in London, and often we meet in other cities where the other groups are based. So I really love getting out of London. If you've had a stressful few weeks, it's really good to be able to go somewhere else to forget your problems for a while. Outside of London, you can breathe easier and focus your mind on something else. It's also helpful to be able to talk to the others in this consensus-building group. We're all just trying to get by day by day, living in poverty, and trying to survive. Whenever one of us talks, the others know what we're talking about. Either it's happened to them already, or it will happen in the near future. We can all relate to each other. We give each other advice on how to go about resolving problems. Even if the person giving advice hasn't gone through the same situation, they've probably experienced something similar. I've never heard any bad advice given in this group. For the next steps in our consensus-building work, I think we need to reach out to the government with our message, and then see what they have to say about it. The government doesn't know what it's like to have to struggle with the NHS or for school meals. In primary school, children can often get free dinners—but not in secondary school. When your family is struggling, you might get a reduced price for the school dinners, but that's all. So you have to put money on the card every week, and it's a real struggle to be able to put enough so that your child can eat dinner ever day. Families in poverty just don't have enough money. With the NHS, the problem is all the cutbacks. Hearing the government talk about it is scary. They have their own way of doing things. The Parliament says it's doing things to help; but we don't see a change. They need to know that more people care about what's going on. I wish that the government would listen to what people like us have to say. They haven't experienced what we have; but if they're interested and willing to listen, that would really help. 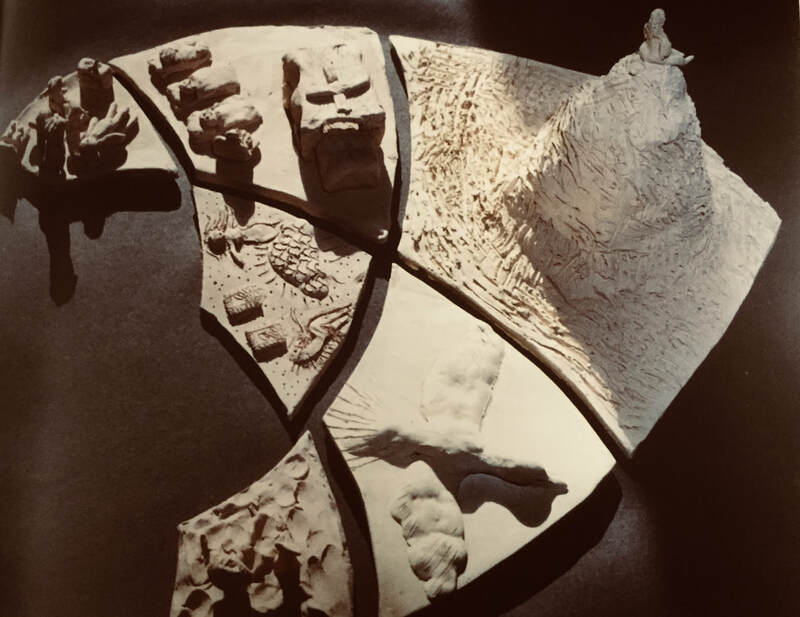 I have written this blog post with support from Dann Kenningham of ATD Fourth World, an organisation I have been delighted to get to know and work alongside over the past two years or so. It connects with the BASW-commissioned Adoption Enquiry and the need to continue discussions prompted by this, and also with our development of an Anti-Poverty Practice Guide. I first heard of ATD Fourth World as we were preparing for the social work summit that took place in January 2016. We wanted to begin this summit, which included policy makers, senior managers, politicians, academics and civil servants, with voices from the two most important groups in social work - social work practitioners and people who use or have experienced social work services. 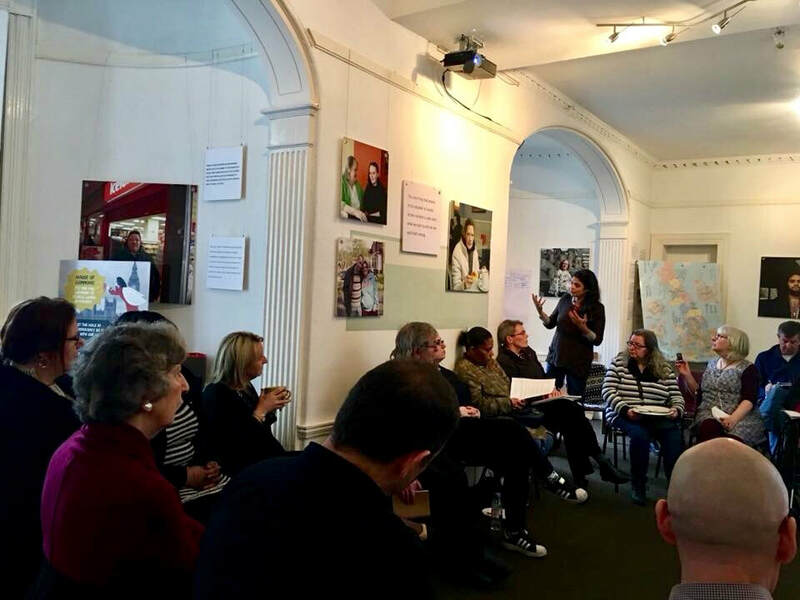 ​Professor Anna Gupta of Royal Holloway, University of London, introduced us to ATD Fourth World, a human rights-based, anti-poverty organisation which works in partnership with people affected by poverty. Part of its work involves supporting families and a number of parents who first meet ATD Fourth World in this way become activists themselves within the organisation. 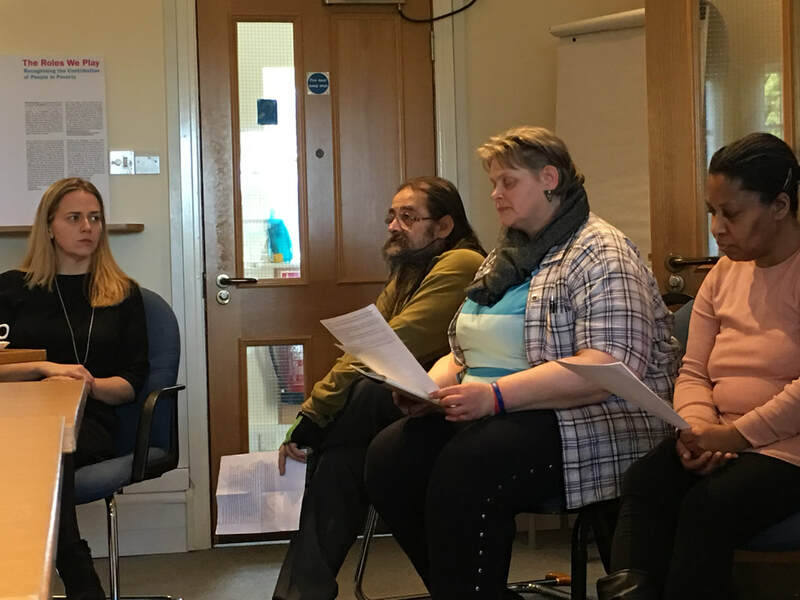 Two such activists, Amanda and Seamus, both of whom have experienced statutory social work intervention, spoke at the summit, and the messages they conveyed were crucial ones at the outset of an event aimed at building social work strength and unity. Relationships between social workers and families were all important, through which social workers could provide the help and support needed, in ways that were understandable and acceptable to the families concerned. It was good to meet Amanda and Seamus again, as well as other ATD Fourth World grassroots activists and team members, social care professionals and academics, at a Social Worker Training Programme Study Group held last month at their National Centre in South East London (summaries from previous Study Groups are available to download here). The main focus of the session was the recent release and findings of BASW’s The Role of the Social Worker in Adoption – Ethics and Human Rights: An Enquiry. This research highlights how austerity has exacerbated the difficulties parents have in caring for their children and the issues social workers face in providing support to families and so the discussions aimed to examine the connections between parenting, family support, adoption and inequality, drawing on the participants' personal experiences. We talked in small groups about when poverty had not been seen by social workers, and when it had been seen. Much of the time, poverty can be invisible simply because it is always there. One parent spoke eloquently about how poverty has affected her children’s access to education. At a case conference, the school had complained about her daughters being late for school, or missing it altogether. This was because they had no zipcards and it wasn’t easy for their Mum to obtain them, especially with no computer and no email address, when they have to be applied for online. People might not consider all the costs involved either, from replacing lost birth certificates to buying passport photos, which is not easy when you’re working out how to pay off rent arrears and debt. ​I’d like to think that social workers would not be among the people who wouldn’t think about these costs, and what they mean for a parent living in poverty, though in this case the mother didn’t recall the school or social workers asking if they could help. So she asked ATD Fourth World for support, and the girls ended up getting their zipcards. One of her daughters has now passed her exams and is studying art at college and her mother is very proud of her. Another parent, whose son had been adopted five years ago, spoke about his family's difficulties with letterbox contact, with letters not being received, and about long waits to hear back from social workers. When a social worker from the post-adoption team did get involved, she was able to sort the contact out quite easily, which left this birth father wondering why this hadn’t been done before. And why there wasn’t better post-adoption support, even if simply to help birth parents write letters to their children who have been adopted, which can be “the hardest thing you can ever do”. 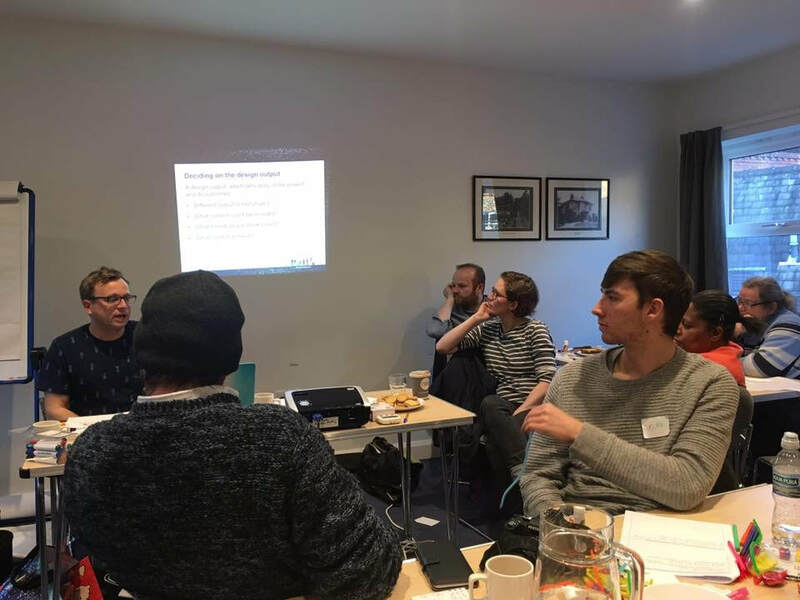 We then split into small discussion groups to consider one of key recommendations of the BASW report: that “the current model of adoption should be reviewed and the potential for a more open approach considered”. 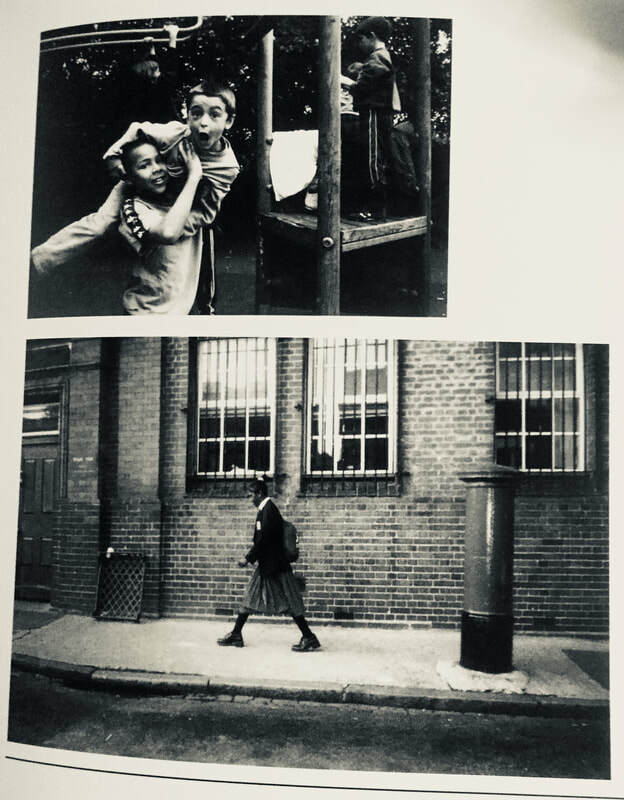 The themes that developed in the group I was in were about the interplay between adoption and inequality, and cultural expectations about how open or closed permanent alternative care for children should be. On the first of these, concerns were expressed that the children who were removed from their families and ended up being placed for adoption, tended to be from poorer families. If their adoptive family was better off, which was thought to be likely, then one effect of this could be felt many years later, if the adopted child once grown up had contact with their birth parents. It could be a shock to the adopted person to find that they had grown up in a different class and culture than that of their birth family. These reflections on difference and inequality led to the group wondering if the prevalence of adoption was greater in more unequal countries. This led in turn to a consideration of the different practices in different countries, with the UK being unusual in having a relatively high number of children adopted from care, and then not having direct contact with their birth parents. If more open adoption is more common elsewhere in the world then this suggests it could become more open here in the UK. It would, however, require sizable shifts in societal attitudes and expectations. When the time came for feedback it became clear that the other small discussion groups had debated, amongst other themes, the need for more and better post-adoption support for birth families, the need for post-adoption contact to be viewed positively and encouraged whenever possible and also the birth families’ needs for independent advocates who can remain with them throughout the statutory process. There was a parent advocate in the discussion group I was in, and it would be good to think that such a service could be available to all parents who find themselves at risk of losing their children. There are excellent examples of such peer advocates in New York City (Tobis, 2013). It was a rich conversation, made all the more so by the presence in the group of people who have had direct experience of these issues, either as parents or as close relatives of adoptive parents. BASW’s main commitment, following the publication of the findings of the adoption enquiry we commissioned, was to ensure that discussions continued, with all stakeholders and across the UK. These are not easy conversations to have, and the fact that ATD Fourth World continues to facilitate the types of spaces where such conversations can take place is both commendable and crucial. I witnessed an event in which great care was taken of people by the facilitators, and in which the participants also took responsibility for themselves and each other. As a social worker and the Chair of our professional association of social workers, I want to encourage practicing social workers to join with families in attending sessions such as these. It could be seen as CPD for social workers - and genuinely, as there is much to learn - but I think too it could be part of actual work done with families. Taking part in exploratory discussions about the impact of poverty on families, parents and social workers together, has the potential to have an emancipatory effect on both sides. Bearing in mind the messages from Amanda and Seamus and others, about relationships being all-important, there is much to gain in building relationships through learning together. I don’t know whether this would be an activity that the managers and employers of our social workers would see as valid in work time, but I believe it should be. BASW is currently developing an anti-poverty practice guide, and I hope that this can include in its guidance suggestions that social workers reach out and take advantage of discussions such as the one at ATD Fourth World, and learn about the impact of poverty alongside the parents they are working with, including from those very parents. Tobis, D. (2013) From Pariahs to Partners: How Parents and their Allies Changed New York City’s Child Welfare System. Oxford: Oxford University Press. I have always wanted to celebrate 17th October United Nations Day for the Eradication of Poverty in Glasgow. Since visiting that city many years ago and being invited by families of the Glasgow/Braendam Link to return, it has been a dream. This year found me travelling north as part of an ATD Fourth World UK delegation from London to make a presentation in George Square, at the stone laid there as a place to gather in remembrance of the human rights of people living in poverty. The four of us — myself, my daughter Bea, Shaeda Croft, and Stephen Baker — arrived in Glasgow as the tail end of a hurricane struck. Fortunately, we were invited to have the event at the Glasgow City Chambers overlooking George Square. The event was opened and facilitated by Poverty Truth Commissioners Caroline and Aisha. 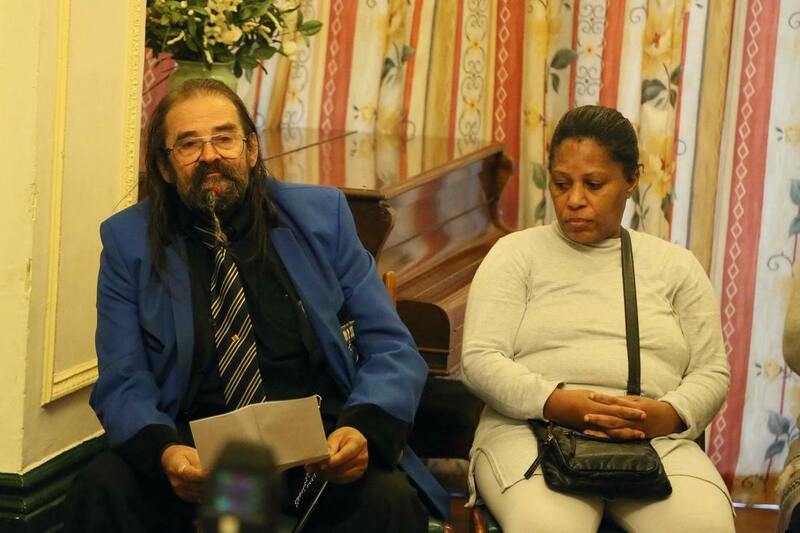 They introduced us to the main speakers who were all people living in poverty and who shared “Let Me Tell Yous”, testifying to the courage and struggles they and others around them face. The speakers came from several groups: The Poverty Truth Commission, Bridging the Gap, ATD Fourth World, and Mission Voices. It was attended by more than 100 people from all over Glasgow, including families and members from local community and national organisations. controlling force on their lives. It was heart-breaking. Yet it was obvious that there was a great deal of strength, resilience and determination too. The day was lightened by singing and a drama about the right way to support people, using food banks as an example. Eva Bolander, the Lord Provost of Glasgow — together with Keith Brown, Deacon Convenor of the Trades of Glasgow, and Ian Dickson, Lord Dean of the Merchants House of Glasgow — attended the event and gave a civic reception. Eva spoke at the end and reminded everyone that “the City Chambers is your place. You are welcome here.” As we left the hall after the event, several people stopped me to thank me for what I had said and to tell me their situations. As many of them headed home alone with what they had just heard, I was grateful that I could share my thoughts with my companions, including friends Joyce and Al. In the evening, the Scottish did what they do best: organised a party. There was a live band, singing and Scottish dancing. Because 2017 is the sixtieth birthday of ATD Fourth World's family house, Frimhurst, and because there were several other anniversaries being celebrated, there was an abundance of lovely cakes to share. Short speeches accompanied the cutting of each cake but the dancing soon resumed. 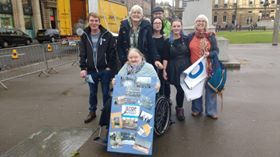 It was a chance to meet and speak with some of the Scottish people with whom ATD Fourth World is in touch through Corrinna Bain, an ATD core-worker who lives and works in Glasgow. By the end of the night, I felt that new friendships had sprung up, old ones had been renewed and strengthened. It was with a heavy heart that I left these friends. I hope that it will not be as many years before I go back to Glasgow. Wow! Does Scotland know how to throw a 17th October celebration! Even in a hurricane they managed to put on an amazing event. We got to see the commemorative stone at Glasgow's George Square before heading inside (away from the wind) to enjoy speeches, testimonies, drama, and music in the beautiful Civic Hall for the official part of the ceremony. Hearing about peoples' struggles and experiences of systems and attitudes in their daily lives was emotional. It was inspirational to see their strength and determination in fighting, and also the sheer force of will they have to effect a positive change in their own futures. I left the ceremony feeling very positive and excited, which was lucky because the Scottish ended their celebrations with a huge party. The crowd included lots of families who live in poverty, some of whom are involved with ATD now, and others who used to be involved years ago. There were also past and present volunteers. It was hosted in a lovely big hall, the Pearce Institute, with loads of food, live music, and traditional Scottish dancing. The place was packed with families and kids, all greeting and catching up with each other. Though I'm not much for dancing with strangers, I had a great time watching others dancing. I also loved talking to the families and volunteers about their memories of Braendam House, Glasgow/Braendam Link and 17th Octobers of years gone by. There was such an amazingly positive atmosphere and sense of community and friendship;. You could feel solidarity in their resistance to the adversity and struggles of daily life and a real positive vibe that they would overcome and things would get better. I have been lucky enough to attend 24 separate 17th October events all over the place, but I have never experienced a welcome like this one. Everyone was so nice and so happy we were there and wanted to help us meet people. They encouraged us to try everything, and they asked a million questions about ATD UK/London and how our respective houses differed. I told them about how the Glasgow Youthies of the 80's and 90's had written a song about their ATD house, the Braendam Link. They brought the song to Frimhurst during an exchange, and then we in London adapted it into a song about Frimhurst, which they loved. We had a rousing chorus of the song and a good giggle after. I can't say enough just how much I loved my whole experience of Glasgow and how grateful I am to have had the chance to go, at last. It was a genuine honour and privilege — and can I go back next year, please?! With another budget coming, I feel scared and uncertain. If people are vulnerable on benefits or in low-paid employment... a budget can stop us from living. I want to share a real-life example about how my son was affected by the system. My son lost out on an education because the school would not support him with his medical needs. The school only focused on its own agenda and expectations. My son then went on to college to try to get an education — but he had to leave college after a budget stopped the ESA benefit (the Employment and Support Allowance). Without that, I could not afford to pay for his education, due to my low income. The college kept fobbing us off, telling us that the job centre would support us. But it didn’t, and the college was giving us the wrong advice. At this time, nobody knew anything, and we could not access any support. We drowned in all the misinformation as my son was thrown onto the dole. The job centre proceeded to bully, pressure and put him down… They were constantly getting him to rewrite his CV, just for the sake of keeping him busy. This got him going round in circles under constant threats of sanctions. One sanction was based on lies, and the DWP (Department for Work and Pensions) believed the lies. They ignored my son. With a bad attitude, they supported his accuser. As I was forced to support my son out of my own low benefits, the stress was traumatic. We eventually fought this sanction in the courts. It took a lot of effort in a pressurised environment to constantly write to agencies and management to defend ourselves. Months later, tribunal papers showed that the accusations had been lies. They were thrown out, and the sanctions were overturned. We won. Unfortunately, however, my son still lacks security and is treated terribly. The disability officer speaks like a salesperson, reeling off a random list of available jobs with no respect for my son's or my medical requirements. The officer is very blasé and indifferent. His treatment of us is even patronising. He is always interjecting with platitudes and asking heavy intrusive questions in a rude manner. By chance, my son was finally hired by a retailer, but on a zero-hours contract. Despite this work affecting his health, he saw it as an escape from the rude, insolent, nasty, abusive, bullying staff at the job centre. Mr Chancellor, I hope you can hear me! My son was then told to come off JSA (the Jobseeker's Allowance) and go onto Universal Credit, on the assumption that the system could deal with flexible hours; but they got all the bureaucracy constantly wrong. The call centre was again rude, and no help. My son was talked down to like a criminal. My son felt intimidated throughout, and bullied into going to job fairs even though he had work. This was undermining his employer and making my son risk the sack. Then came a new threat of sanctions: eleven pounds a day for three months that would come out of his already low income, all because his efforts to find another job were deemed not good enough. How can you be expected to job search for 35 hours a week while you are already working? He was constantly talked to like dirt and often received nasty derogatory text messages. The whole system was so oppressive and intrusive. 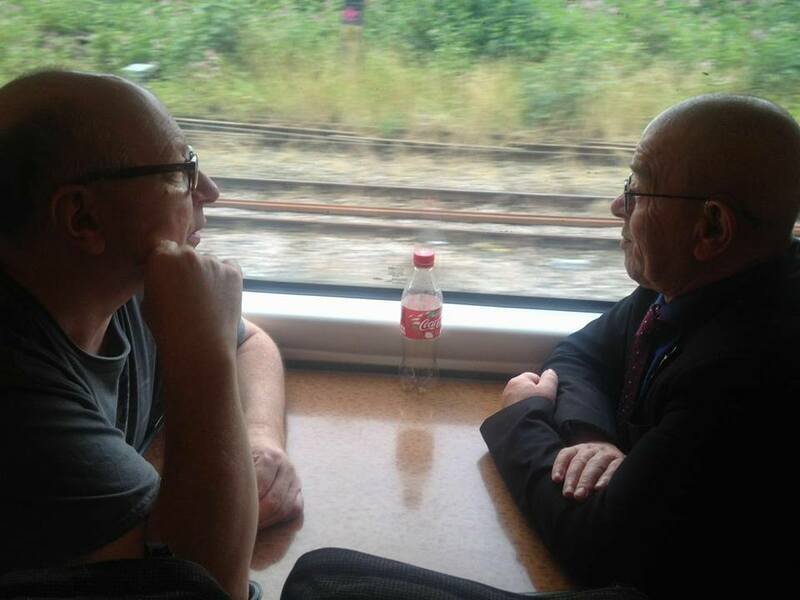 He could no longer face this state-sanctioned bullying and abuse, so he stopped his Universal Credit. Instead, he grabbed what hours he could at work, despite his health becoming more of a struggle. I want a government that practises politics for the good of the people, with the system going back to the principles and values of the Beveridge report to bring the caring back into so-called “social care”. Government practices now are more narcissistic, punitive, unreasonable, and uncivilised than they were then. Each of us needs to be given a chance. Getting back to our core values would be for the good of humanity. Angela from ATD Fourth World UK on Vimeo. Me and my daughter were speaking about homelessness after seeing a documentary on TV. There were two homeless men behind a shop looking for food in the skip. So much food is wasted and it is not right. People need food. My daughter also saw something on facebook about how a homeless man stood up for another homeless man who was getting beaten by a gang of lads. He was brave to stand up and this made us want to do something positive. We just wanted to do something, even a small thing. I've been homeless and I know how hard it is to be on the streets in London. It’s scary. I was on the streets at a young age for a while and I will never forget it. As a family, we have also been threatened by eviction and we were very worried about it. ATD Fourth World supported us to get through it, but it was touch-and-go for a while. People who are living on the streets often get ignored. Not many people speak to them. A smile and a friendly face are important. People end up on the streets for all sorts of reasons. We should not judge them. We are all human and we all have our own stories. My family is struggling ourselves and at times we don't have enough money to see us through the week. But we decided to save up £20. Then we went to the supermarket and bought some basic bread, cheese, salad, and ham to make sandwiches. We got home and made about thirty sandwiches. We wanted to make something warm but we weren't sure how to keep it warm. We put all the sandwiches in a shopping trolley and set off into central London. We wanted to go and speak to the homeless people and offer them a sandwich and a chat. We were both very nervous at first and did not know what to expect, but we pushed ourselves and did it. We went out and just started talking to people, we didn't want to disturb them, but the reactions were good. People smiled at us and talked to us. Most people were very grateful. We met people of all ages--young, old, men and women. One elderly man really made an impression on me. He was very kind and smiled at us. Yet we didn’t really know what he was thinking and we didn’t speak a lot. It was nice just to be able to sit with people and take time with them. It is not a lot, I know, but we just wanted to do something for people less fortunate than us. Showing people respect and dignity is important and we can all do it. We can all fall into poverty you know. Me and my daughter hope to go do it again next week. "It was very important for me to have this invitation to speak at the United Nations. I've been with ATD Fourth World for over 30 years here in the UK and I put a lot of my 30 years experience into this speech. Whenever I go away I don't just represent the UK, but also Ireland ,being Irish. It's very important that I put both countries on the map. Representing others gives me great strength and hopefully it's a boost to the other families we are working with, in knowing that I was there representing them on their behalves as a delegate for others going through the same things I've gone through. I wear a collar and tie when representing ATD Fourth World, it's important to represent ourselves in that matter of fashion. We might be poor, but we don't want to show the true meaning of being poor when we go to these places. I think that we have to show that we want to be treated with dignity and respect. That's why I did it. It's very important to be there and get our voices across. It was a good day for everyone and that is what ATD Fourth World is all about." Seamus reflecting on his visit to New York City and his presentation at the United Nations on October 17th The International Day for the Eradication of Poverty. Frimhurst: A Place of Freedom, a new ten-minute film celebrating the work of Frimhurst Family House as a sanctuary where families struggling under the weight of poverty can rebuild their lives in dignity, free from stigma and discrimination. This film highlights the importance of creating a safe supportive and non-judgemental environment for the whole family... somewhere away from the day-to-day pressures and anxieties of a life in poverty. At Frimhurst, families living in poverty can enjoy a wide range of activities alongside others in similar situations. Frimhurst is a place to share experiences, develop supportive relationships and form new long-term friendships. This network of support is essential in recognising and building upon the strengths of a family, while working alongside them in overcoming the challenges they face and promoting societal change. 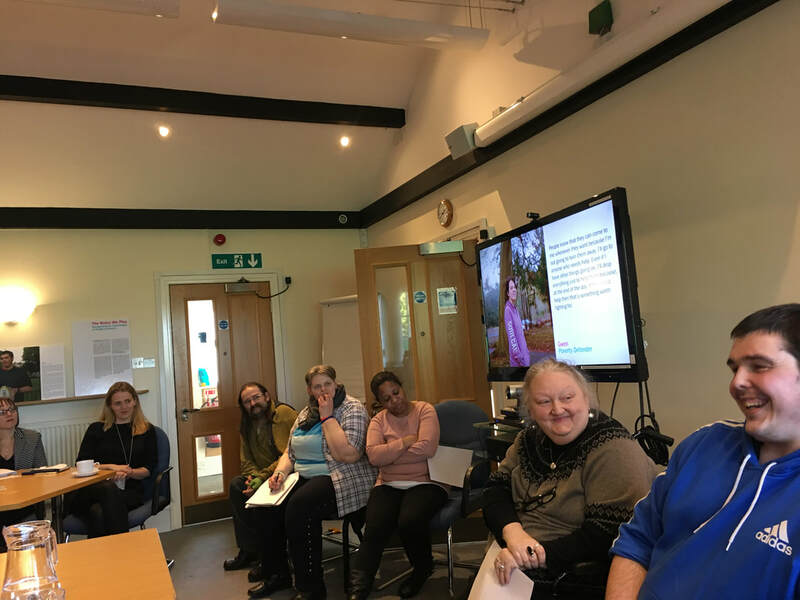 The film features the voices of people with first-hand experience of poverty and hears them speak from the heart about why Frimhurst Family House, the setting for all residential aspects of ATD Fourth World's Family Support Programme, is such a unique and important place. "Surviving a life in poverty is getting harder and harder as Government policies become more punitive and divisive. This creates feelings of fear and insecurity, it drains your energy and can make you ill. Having a place to go to where we are not judged, can dare to trust the people around us and be free to be ourselves is a lifesaver. Frimhurst gives us strength to carry on, knowing we are not alone in our struggles." Made to mark the sixtieth anniversary of Frimhurst Family House, Frimhurst: A Place of Freedom was produced for ATD Fourth World by journalists and film-makers Ofelia de Pablo and Javier Zurita. We are thrilled to announce the release of the video clip “With My Own Two Hands,” a collaboration between Playing for Change and ATD Fourth World. This Song Around the World commemorates sixty years of our movement to overcome extreme poverty, with performances by professional musicians and ATD members from the Philippines, Spain, Burkina Faso, Haiti, France, Montreal, and beyond. 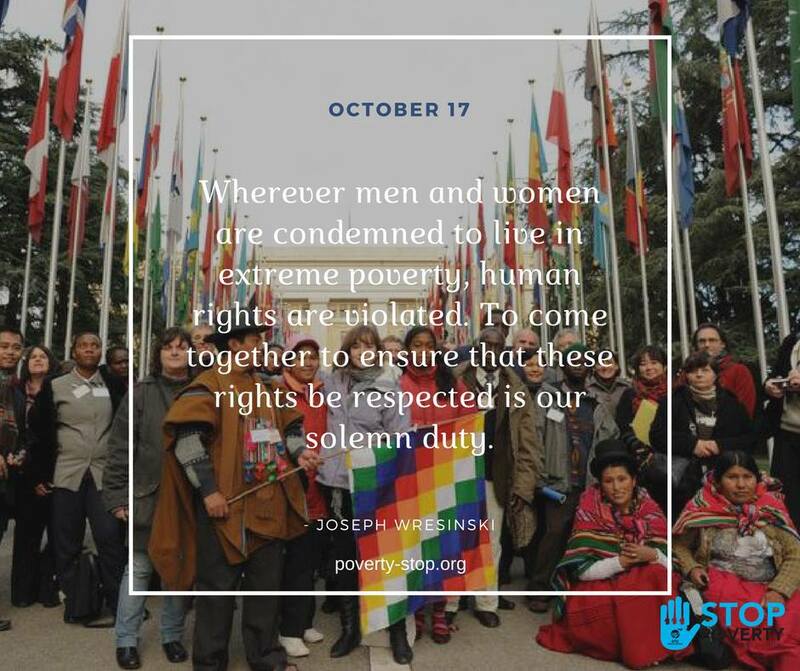 Click here to see the video.We hope you enjoy the clip and that you’ll join all of us around the world commemorating October 17, 2017: The 30th World Day to Overcome Extreme Poverty. In Scarborough, Britain and the world, October 17 is known as the ‘World day to overcome extreme poverty’. The United Nations recognised the date in 1987 when a commemorative stone was unveiled by the Eiffel Tower in Paris. 100,000 people were present that day and since that time it has grown into a global phenomenon. The founder of the organisation, Joseph Wresinski, was a man who grew up in poverty in post world war one Paris. He was born in 1917 so 2017 not only marks the 30th anniversary of the commemorative day but also 100 years since the founder’s birth. What makes October 17 special is that its theme is listening to the poor. Wresinski saw that most governments and agencies think they know what is best for poor people but in reality it is often the poor themselves who understand the barriers to escaping poverty. It is not only lack of work, but also secure housing, education, health and confidence that is needed. Deep poverty often afflicts many generations of the same family. In 1957, Wresinski founded, with families suffering extreme poverty, the organisation ATD Fourth World. They all knew that what humans need most is dignity and a sense of worth. Wresinski said that nobody should die without having given the best of themselves in life. This means having opportunities and support. Volunteers now work for ATD Fourth World in 32 countries, including some of the richest, the UK, USA, France and Germany. In Britain, the team work with families where poverty often results in having their children removed by social services. The teams use culture, education and art, to build relationships with the families and support them in their fight for recognition and dignity. The team also work with the government and social services to influence policy and they publish books and reports about their work and findings. I feel I have been groomed into poverty from childhood. Everyone is involved but it comes down to individual's strengths and weaknesses. I have been homeless for seven years with drugs and alcohol and crime. I came from a large family with restricted finances ending up in borstal and in and out of institutions. As a teenager I was frustrated and vulnerable. I had a lot of resentment and became dishonest and got bad advice from others. My health and wellbeing was bad. Hostels are dangerous places but even on the street I have been attacked next to a cctv camera and the Police did not come. Nobody has the right to stop people prospering. I have no friends or family now and I would like to do something interesting with my time. Being on the street it is hard to keep clean and it takes ages to warm up in the mornings. It feels like modern day slavery, I am controlled by other people. We are pleased to send you the International Leadership Team's message for the 2017 World Day for Overcoming Poverty. It will be read aloud at United Nations headquarters in New York on 17 October at 2:30 p.m. local time. You can also click here to read on our website the message from Mr. Cassam Uteem, president of ATD Fourth World. Thirty years ago, Fr. Joseph Wresinski stood before 100,000 defenders of human rights to inaugurate a commemorative stone in honour of the victims of hunger, ignorance, and violence. This became a unique place for the voices of people in extreme poverty and all those in solidarity with them. 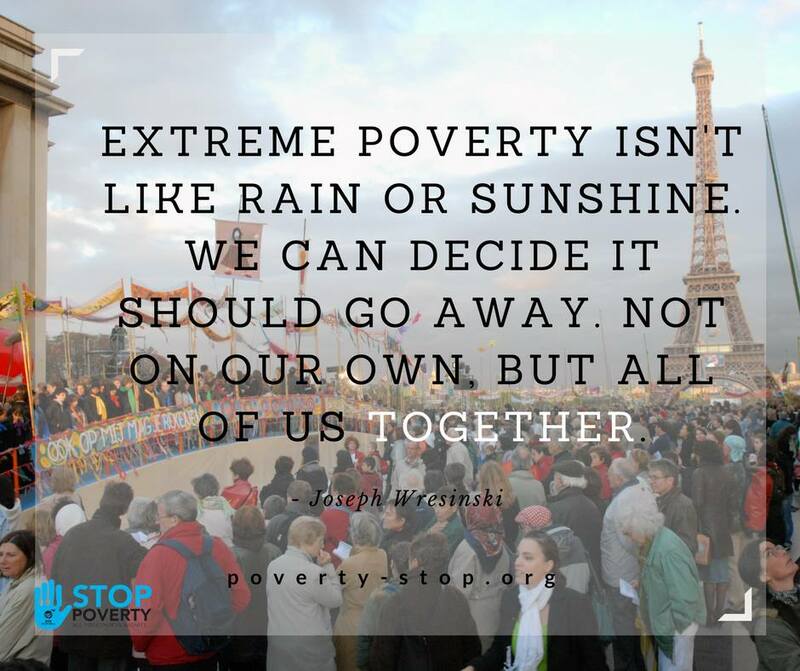 This year, with the public #StopPoverty campaign, the public expression of resistance to poverty is gaining influence. We now have Stories of Change, the Playing for Change music video “With My Two Hands”, and a WebTV broadcast. There is powerful content in these tools that we can use on the 17th and in the years to come to engage people in learning from those who live in extreme poverty and to spark new commitments. This June, a week-long conference on the life and work of Joseph Wresinski was held in the Cerisy-la-Salle International Cultural Centre, Normandy, France. One of the topics addressed there was “Violence and giving – rethinking human relationships”. Moraene Roberts, an activist with ATD Fourth World in the UK, addressed this topic in a short film that was shown at the conference. “It’s very important to say that poverty is an act of violence against the poor. It creates a cycle of violence in which people live. They are treated as less than human, which violates all of their human rights. “One of the difficulties people in poverty have is not just having their voice heard, but their viewpoint and their opinions acknowledged. There’s a lot of research on poverty, but nobody is taking on board the base line that to do research on poverty without the full participation of people in poverty means that it never gets to the bottom of what’s going on. We don’t want to be under the microscope of researchers. We want to be standing next to them; participating not just in giving examples of how awful life is”, but in telling what we need and how it's to be delivered to us. We know what’s important. We know what needs to change. “It’s very difficult to imagine how systems that are set up to help people can affect their lives in terrible ways. Unless you encounter people, unless you meet them, unless you speak with them, you don’t really get to know anything about them, and when you come up with solutions yourself without asking the people themselves who are suffering, those solutions hardly ever work. Often they end up with a complete oppression on them. And then people say: ‘Look we gave these people opportunities, they didn’t take it and therefore their poverty is their own fault.’ And again that perpetuates the idea that people in poverty want less, care less, don’t have ambitions or aspirations, and that they’re content to be recipients of charity of money from the state. This poster was made by 10 people with an experience of poverty, we (3-4) represent this group, many can’t be here today due to benefit and job centre restrictions. This project brought us together as a group and gave us chance to share our ideas through art and design. We can only build a more fair society when we all work together. I think I speak on behalf of the other groups here when I say … we reach out an open hand and are willing start important conversations with you and others in power. Just ask us and we will be here in a flash.. When one is on their own they feel weak, but when you bring a thousand voices together we feel strong. This whole project in bringing many different people together from across the country ...which is very important, we are hearing the same things from the different places. We hope to be heard !! We need to be united!! Working together with other groups like Thrive Teeside and The Doleanimators is so important. I drew a bridge on the poster,, the bridge represents the importance of coming together... MPs, people in power ,, and the powerless. We can work together and make things better for all. It’s time to listen to people in poverty; we are experts on poverty and have a lot to contribute. People in poverty go through a lot of challenges and feel rejected by society because they feel nobody listens to them which causes anger, frustration, set back even depression. Why are we excluded from the debate? For example, as a mother with a special need child, I find it sometimes hard to cope alone with the challenges that are attached to dealing with a child with complex needs. Because of lack of help, at the beginning some parents struggle to the point of breakdown and as a result their children are taken away from them. Families need support and I feel we are not listened to in the times we need to be listened to the most. I was lucky and found ATD Fourth World in my days of real need, ATD helped my family stay together by supporting us and listening. I fear other families might not have the same opportunity. We should not feel ashamed every time with words such as scroungers, lazy, just because we need support. I think the government should listen to more poor people and understand better what we are going through. The reason I drew the megaphone is to try and give an understanding that poverty must end and be eradicated. Our voices need to be heard. People living in poverty feel they are not listened to. The Government needs to listen to us. We know a lot about poverty and have ideas and answers how to work together to over poverty. We offer our help and are very willing to work with government on solutions to poverty. The bridge in our poster is saying everyone needs to come together and build bridges not walls. Giving Poverty a Voice links up with the Voices from the Margins Campaign. Focusing on the General Election and what issues need to be addressed. People have asked me on numerous occasions why I started the skill sharing project a little over four years ago now, the answer is both deeply meaningful and easy. ATD Fourth World had given me a lot of help and advice while at Frimhurst Family House, and gave me a chance to have somewhere to take stock of where my life was heading. I wanted to give something back somehow. Now being the sort of chap that’s handy with tools, the obvious way to help was with decorating the place and general upkeep. So I sat down with Stewart a member of the team and laid out my vision, which I am very pleased to say he jumped in with and the Skill Sharing residential project was set in motion. Now four years down the line the project is still going and its grown in strength, we have been able to have two residential week long stays at Frimhurst Family House, one in the summer and one in the winter over these four years. During these stays we help people learn about painting and other decorating skills. We have added a small kitchen, repaired and repainted windows, decorated bedrooms, replaced flooring, cleared leaves, even dug the first section of the community garden at Frimhurst; to us it hasn’t mattered the job we have dived in and completed the task, as we love the place and it has enabled us to build friendships, learn skills and provide support to everyone who has taken part. That’s the reason I have done it, and continue to do it, sure it has been stressful and there have been ups and downs, but to see the pride on the guys and girls faces at what they have achieved over the week for me there was no better reward. So in closing I want to say thank you to ATD Fourth World team that have helped us and all the participants that have taken part over the four and a bit years. Before the residential stays took place at Frimhurst Family House the main thing that helped inspire me to begin this project was the weekly skill sharing workshops at the ATD Fourth World National Centre at Addington Square London. I was part of the team there that renovated the community kitchen and took part in the attic conversion to provide volunteers accommodation. As an important pillar of our Family Support Programme, our Skill-Sharing Workshops and Access to Volunteering initiative hold fast to the conviction that everyone has something to offer. Our aim is to furnish people with the support and encouragement they need, through concrete volunteering opportunities at our National Centre in London and Frimhurst Family House in Surrey, to be able to contribute to the running of ATD Fourth World. In the summer, Jackie Cox and Church Action on Poverty organised a residential meeting in Windermere. This important event brought different groups together who are fighting against poverty so that they could share their experiences, expertise and views. Representing ATD Fourth World were Ian a new activist who recently started volunteering for ATD Fourth World UK and Seamus a long-term activist and family member. Naomi accompanied them from the full-time team. Seamus said, “Ian asked me, 'would you like to speak first? ', and I said, 'Go ahead.' He went first. We both spoke up. He didn't need any help from me. He did well. I told him how well he did. It is really important to support each other is, when I first spoke out the first time I remember how hard it was, and now I have the confidence to help others. “It is important to help someone who is new to ATD Fourth World. When I first started 30 years ago, I was asked to speak in Parliament. I got help from a member of the team back then, and he gave me tips on speaking out. I was given a ‘pat on the back’ and a confidence boost. Over the years it gets easier, and with practice it gets better and better. Seamus: “Frimhurst is so important, it's a break from daily life and we build friendship there. When we stayed at Windermere it was the same. It was a different house, but it was similar, the atmosphere was exactly the same. When you go to Frimhurst, you feel welcomed. The body: object of shame or instrument of freedom? Like others, I admire conventionally healthy, beautiful bodies. I am not a fan of stick-thin figures but there are those who are. There are those who find short, fat bodies like mine repulsive but, thankfully, there are others who do not. I am also physically disabled and have several chronic illnesses. For some this makes my presence distasteful or difficult to cope with; yet there are those who see me as a person first and recognise my disability afterwards, and they are comfortable with my company. Reactions to the bodies of others are as diverse and perverse as our reactions to our own bodies. Our human bodies are amazing and miraculous, so why are we so easily made to feel ashamed of them? I would like to change my body, to weigh less, to be healthier, to be able-bodied, but have neither strong willpower nor a magic wand to achieve these things. This being so, I concentrate on the positives in my life, on what I can do rather than what I cannot do, on what I like about myself, not on things I don’t like. I look around me and see my friends and my family and count my blessings; without them I would be housebound and very lonely. To them I am a person, not an ailing body, I love and am loved for myself and so I have joy in my life. I am pained by the current obsession in the West with youth, beauty and thinness, demoralising – even destroying, those who cannot achieve the look that they see on every magazine cover and billboard. Children as young as five are bullied for being overweight or ugly when they are neither, and they internalise a negative self-image that can have life-long implications for them. Our collective self-confidence is becoming image-driven and people are suffering because of it, even to the point of self-mutilation and suicide. We feel appreciated for how we look, not how we act. Our bodies were designed to enable us to be mobile, able to hunt and forage, able to build a shelter, have children and protect ourselves. As the majority of us no longer need to do most of those things, we have come to judge our bodies, not on what our bodies do but on how they look and on the opinion of others. Strangely this has led to the opposite disorders of obesity and anorexia – both of which can kill. It is ironic that whilst Western populations, attempting to be thin, spend millions of pounds on exercise machines, diet foods, slimming pills, and even cosmetic surgery, the populace of many other countries cannot even find the means to eat enough to stave off starvation and death. In the faces and bodies of size zero fashion models, there are frightening similarities to the gaunt images that stare at us, hauntingly, on news programmes about areas of drought and misery. It is time we began to appreciate the wonderful bodies we have been gifted, to enjoy them and look after them. We must value what a person contributes, not just how they look. At the same time, we must try to improve the health and welfare of those around our world whose bodies are starved, diseased and destroyed. We are dying of privilege while they are dying of poverty. This must change so that all of our bodies can be healthy and productive instruments of freedom. I'm going to keep this post short. I launched my website in May 2015, having spent the previous month putting my heart and soul into writing my socks off every evening whilst my son slept. At first, I wrote because I was angry. Angry at myself and my own failures and mistakes. Angry at the way my son had been unnecessarily removed at birth and then clumsily handed back 258 days later in a car park. Angry at the way I was made to lie to my older children, still in the care system, about their younger sibling spending time at home when they were not permitted. Angry that the local authority would not engage with me, would not trust me and would not give me a chance to demonstrate I could, and had changed. Angry at the predominant voice in social media being one to encourage fear of social workers and fleeing of families. I hoped that by writing, I might show some parents that there was another way, that they could be empowered with knowledge and support, that they could engage with social workers, that they could survive the child protection process, too. I hoped that by writing, I might remind some social workers that service users are real people too, that there are real and enduring effects of our interactions for our families – long after our cases are closed and social workers have moved on, and how important it was to listen and be aware of the experiences of the families they work with. I wanted to remind social workers of the power of their role and the need for humanity and kindness, always. 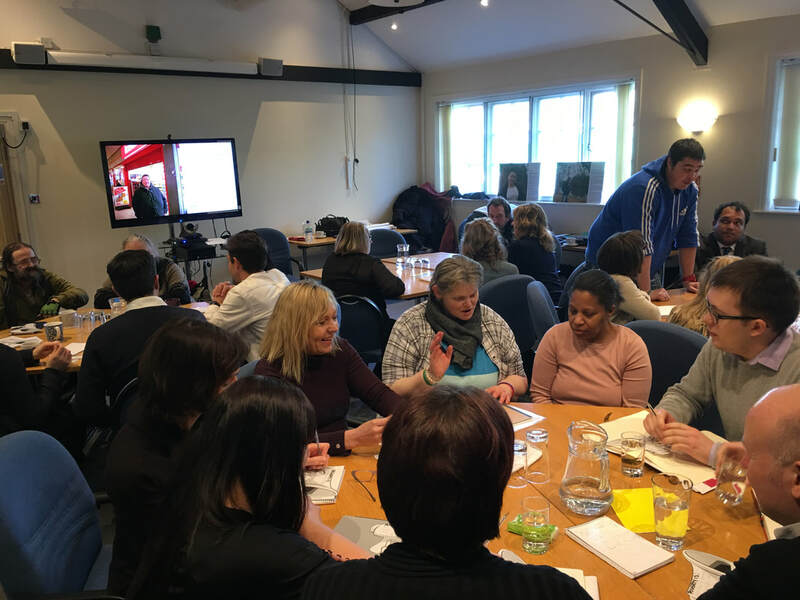 In a Utopian way, I wanted to help both social worker and service user work together, respectfully and mutually contributing to the relationship for the benefit of the whole family – and the social worker themselves. I never thought anyone would actually read my website, I just hoped some may stumble across it. I still, to this day, never think about anyone actually sitting and reading my website, and when I’m told people do, I get quite emotional and feel very humbled. Almost two years on, and my motivations have not changed. In fact, if anything, I am even more motivated to fortify the relationship between social worker and service user and that is at the heart of every single one of my training sessions. Because of my profile, I feel a great responsibility to ensure the voice of parents involved in the child protection process is heard. Without wishing to sound arrogant in any way, I try to speak for those who cannot, for whatever reason. I take this responsibility extremely seriously and carry it with me always. I would never do anything to disrespect the trust of those within the profession, and the families I work with. I’ve never been any good at anything before, but I’m good at what I do, and I feel I make a difference. I have been aware of various “social work blogs” since I launched my own and have read many with great interest. When I started on this journey, I found them an education, a different perspective – I guess the way some people feel reading mine!! Some of them made for difficult reading; it was painful to read of another human being emotionally worn-out in a job they entered to try to help people like me. Some of the light-hearted posts made me smile and laugh; it was a joy to know that these same authors could find levity as a tool to keep them going, even in distressing times. However, the general theme of these blogs were a positive reinforcement that most social workers truly wanted the best for their service users (for want of a better term) and wanted to work with us. One of them I really rate is Ermintrude’s blog and I would encourage everyone involved in social work to read this website. However, more recently, I have become increasingly concerned about a blog by a practising social worker who calls himself “Social Work Tutor”. Initially, I was interested in what he had to say and quite buoyed by the addition of another dynamic, powerful voice. In fact, we even exchanged email addresses when he asked me to write a chapter in his book. This was not progressed, because the rehabilitation of my 12 year old son broke down and, after explaining this to the Social Work Tutor, I was ignored. Around the Autumn of last year, I began to notice more and more posts from the Social Work Tutor about the emotional impact of being a social worker. I read many of them, and in the first instance, found myself agreeing vehemently and calling for more support for those particularly at the “frontline” of practice. But they continued, more and more were produced, now becoming “memes”, many of which were followed by lengthy justifications using very emotive language. There is a time and a place for this and my opinion is that publicly, where service users have free access to read it, is not always the right one. There was a limit to my sympathy; this person chose to be a social worker, I didn’t choose to be sexually abused by my father and my children didn’t choose to be failed by me, their mother. This person could choose to leave their job and do something different with their lives. I contacted the Social Work Tutor and asked him to tone these posts down as I felt they were creating an even bigger divide between “us” and “them”. It was everything I was working against. It was divisive. It was disrespectful. It did not encourage engagement. How on earth can you engage with a social worker after reading this sort of thing? There followed an exchange I can only describe as “shocking” whereby this person used the fact that he worked in a neighbouring authority and knew social workers in my authority, the fact that a very distant relative of his wife was married to a friend’s daughter and that any criticism of him might upset their children (aged 3 and 1), and the fact that he would find any criticism extremely upsetting. This person also then twisted my words to suit him in a move which I have to say left me chilled, considering his position as a child protection social worker. I understand others have criticised this person’s work too, and have been met with emotionally provocative language, threats of legal action and “blocking”. If you have a public profile as I myself do, you have to learn to take criticism. I get called a child abuser on a weekly basis. It doesn’t upset me any more. As a service user involved in child protection, I cannot begin to describe how horrifying this is. This will sound ridiculous, but my instant response upon reading this is to feel protective towards the families I work with and represent. I know they would feel disempowered and feel frightened and intimidated by the power of a social worker. I know this, because I feel it, too. Another upsetting “meme” created by this person seems to poke fun at large families, talking about the “awkward moment” the social worker is trying to remember everyone’s name. I have a large family. On court documents, my name is not spelled correctly, and social workers regularly mixed up the names of my children. A local authority trying to remove my children who can’t even call each of us by the correct name? I could go on, but around 1300 words ago I promised to keep this short. If you are a social worker considering writing a blog, by all means, please do. Other social workers, senior management, service users, and the general public need to hear your voices. Please do talk about the difficulties of the role, please do articulate the lack of support, please do write down how these things affect you as a human being. We need to understand how best we can all work together to build relationships, and a big part of that begins with being honest and being vulnerable with each other. However. Please don’t poke fun at, nor shame service users for their choices. Please don’t construct veiled memes to highlight the mismatch of the power dynamic. Please don’t be downright discourteous to your fellow human being. It is divisive. It is disrespectful. It does not encourage engagement.